Discussion in 'Google TV News' started by Jeffrey, Mar 10, 2017. 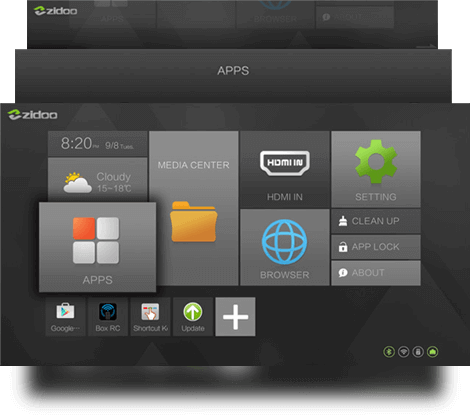 The X10 is the new high-end flagship Android TV Box from ZIDOO.TV. The X10 TV Box has aluminum housing and powered by the Realtek RTD 1295 chipset, along with 2GB of RAM and 16GB DDR3 memory. Like the ZIDOO X9S, the X10 has dual HDMI – HDMI IN and HDMI OUT, allowing for PiP and the ability to record video content from other sources. In addition ZIDOO X10 also has a 3.5 “SATA HDD bay for PVR/NAS. In addition, the X10 sports the incredible ZIDOO ZIUI custom launcher/interface. The best I have seen to date. No pricing available at this time. We will let you know for sure.